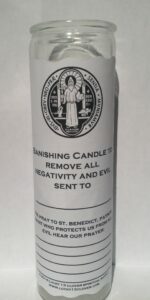 Lucky 13 Clover Banishing Evil Candle Kit was created for those of you who feel like someone has sent a “debil” on you and absolutely nothing is going right. 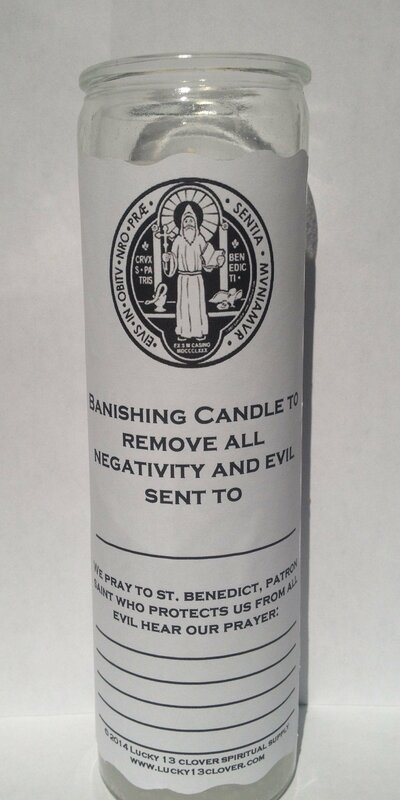 This special candle with its special intention prayer and the symbol of St. Benedict, famed for casting off evil and demons, will aid and assist in getting your house back to normal and relations with your friends and family peaceful. 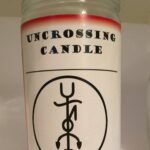 The Lucky 13 Clover Banishing Evil candle comes with an anointing oil and complete instructions for you to create a banishing candle spell in the privacy of your own home. Abracadabra! 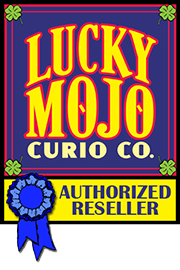 The Lucky 13 Clover Banishing Evil candle can be purchased by itself without any additional oils, ingredients or instructions. Burn candle within sight, never leaving candle unattended or near anything that would catch fire. Keep away from drafts. Place on a stable, heat-resistant surface. Do not touch or move candle while burning or when it is hot to the touch. 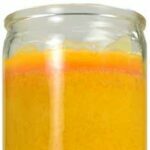 Keep wick centered in glass and trimmed to within 1/4 inch of wax to prevent excessive flame or smoke. Do not let wick trimmings or other debris drop into wax.